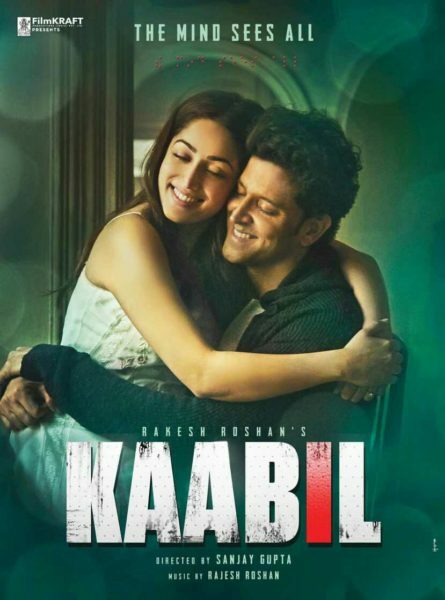 Kaabil (English mean- Capable) is a forthcoming Hindi bollywood film with full drama, action and thriller. This film released on 25 January 2017, Directed by Sanjay Gupta and produced by Rakesh Roshan. Star cast Hrithik Roshan and Yami Gautam playing lead role and Ronit Roy, Rohit Roy, Narendra Jha, Girish Kulkarni, Suresh Menon as a supporting role. The picture has a special appearance in the song by Urhwarshi Rautela. This film based on a blind love couple and And how does he manage to love.